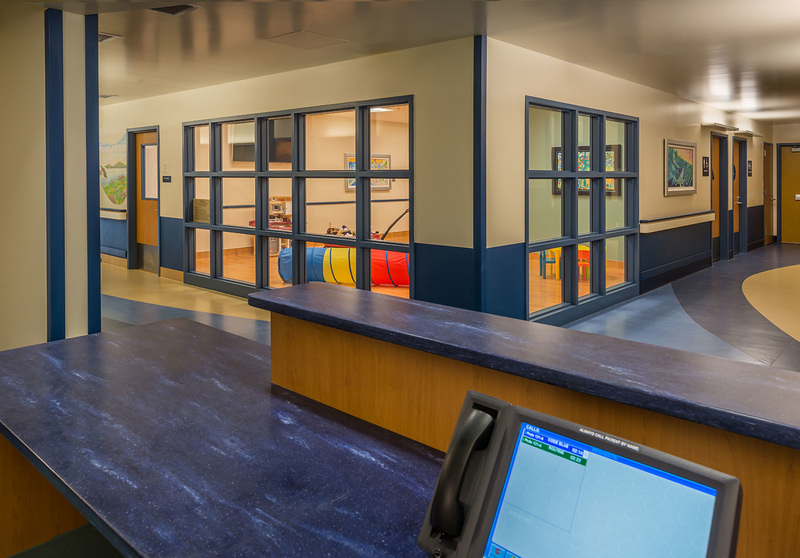 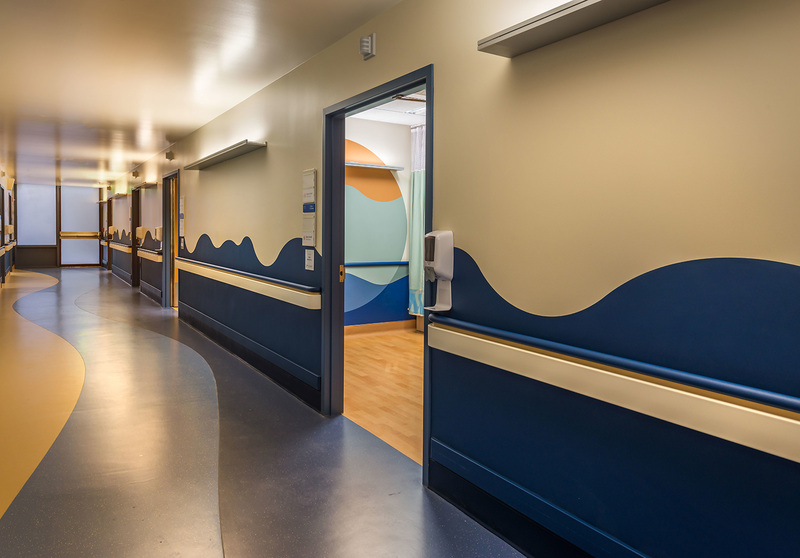 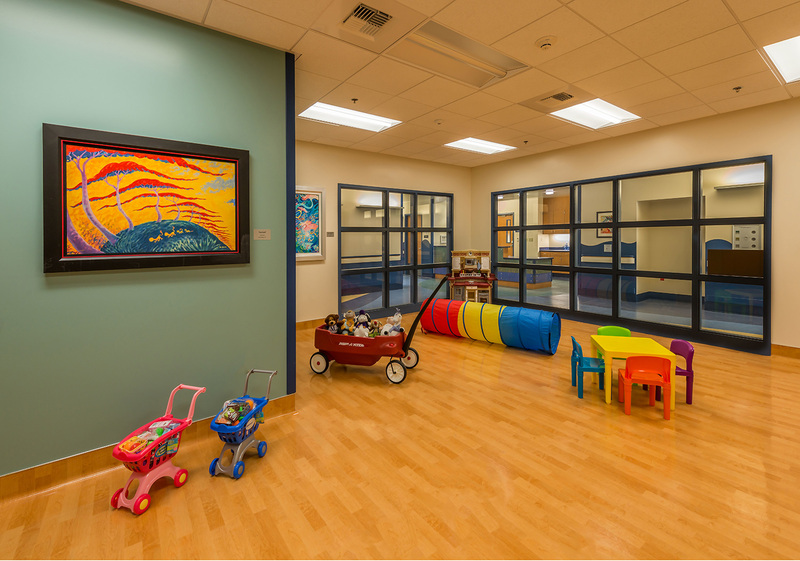 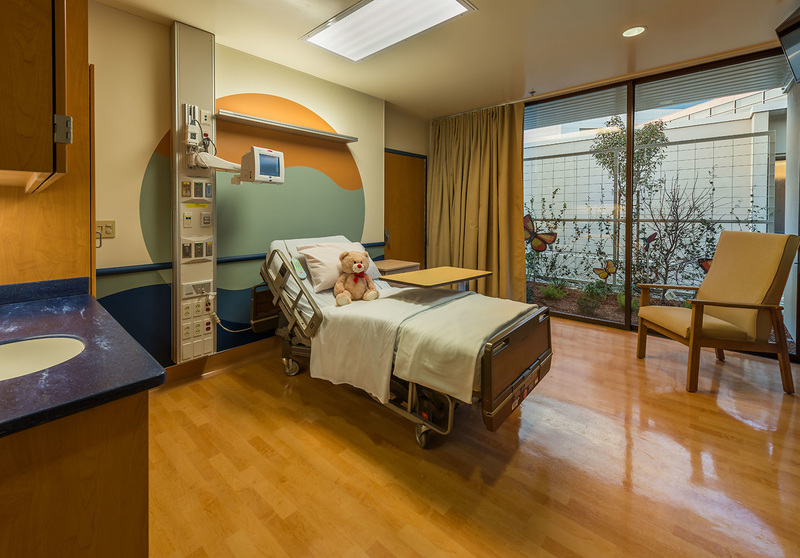 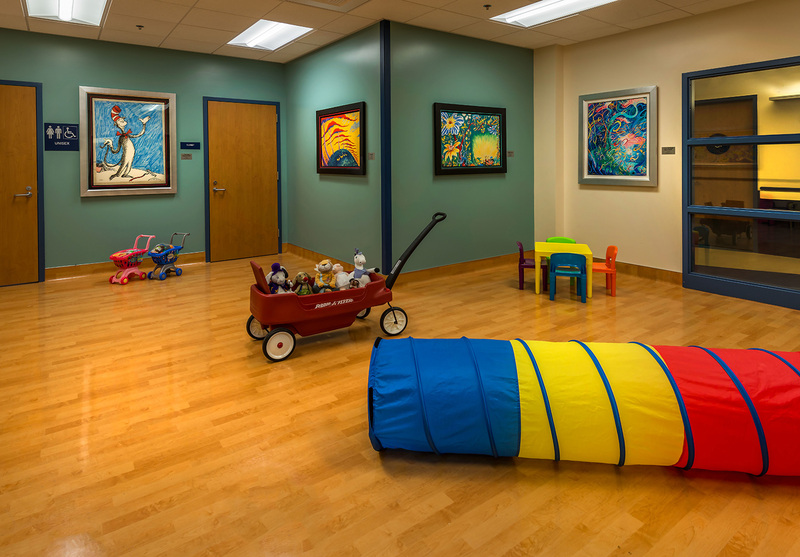 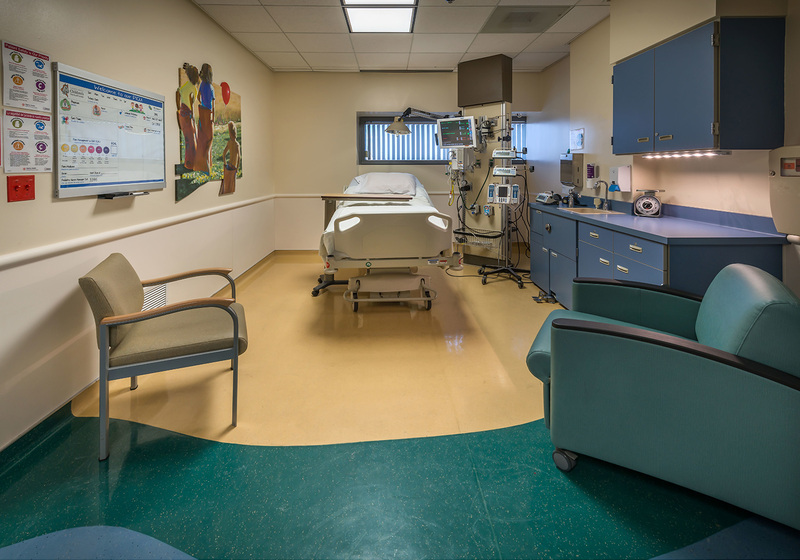 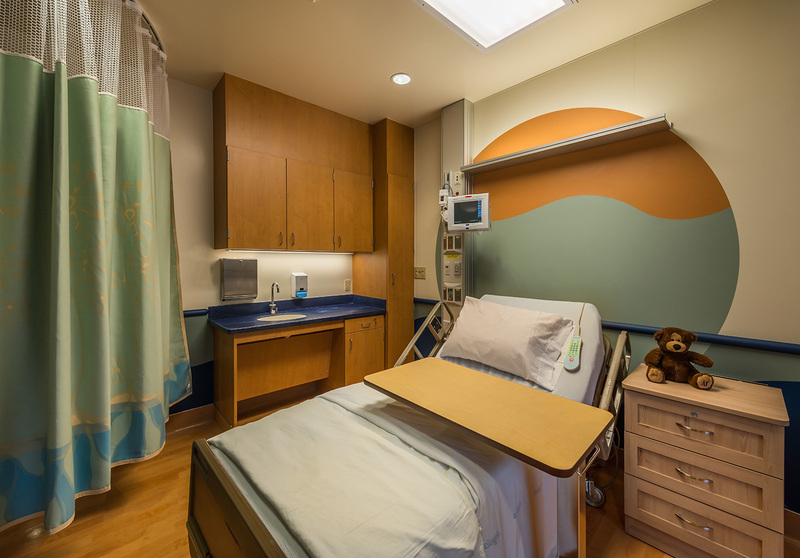 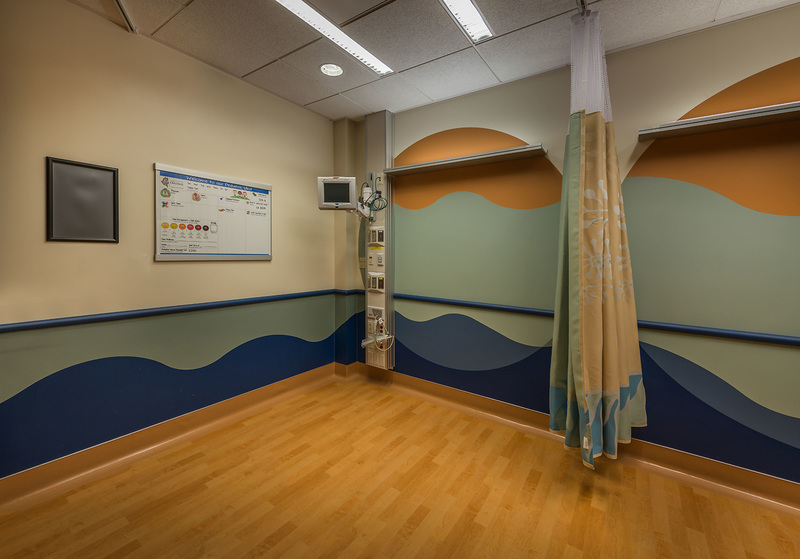 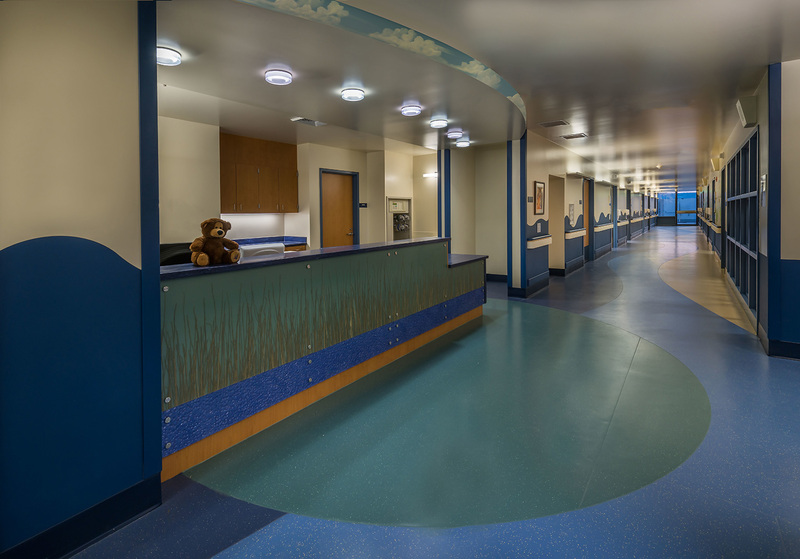 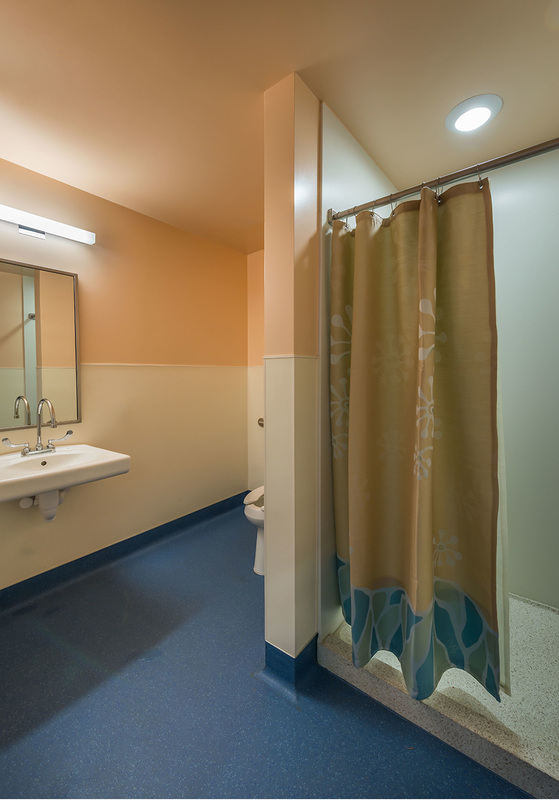 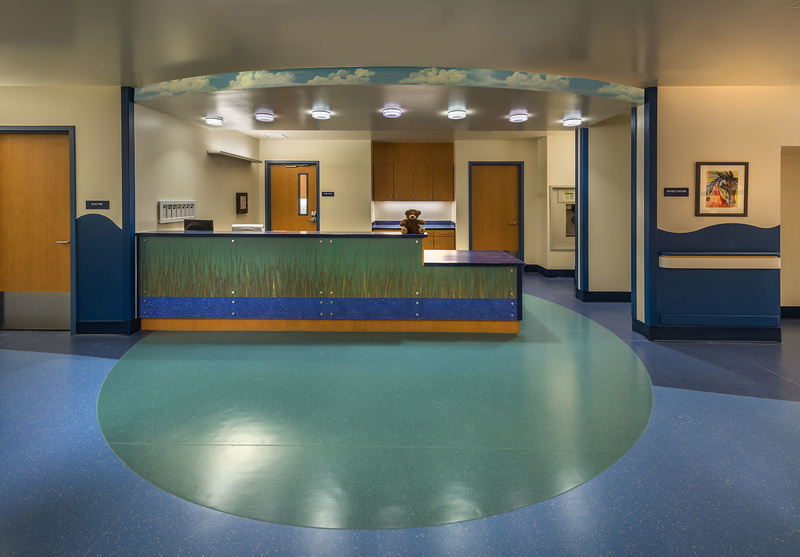 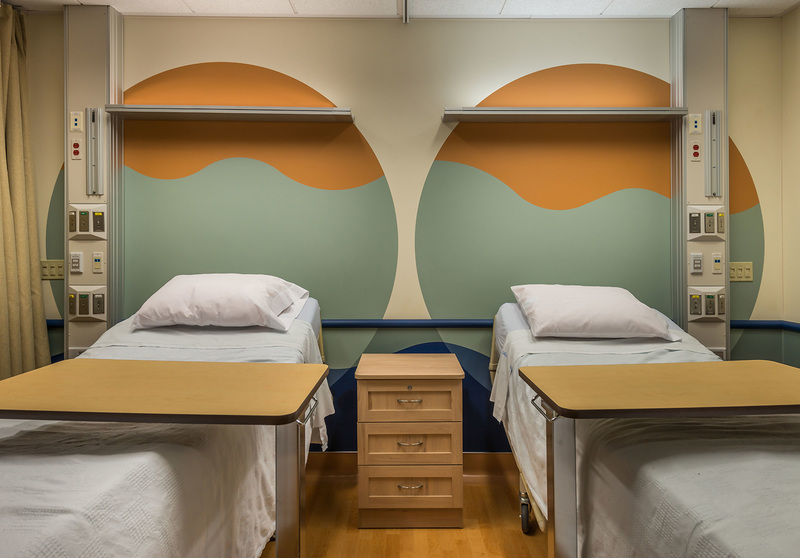 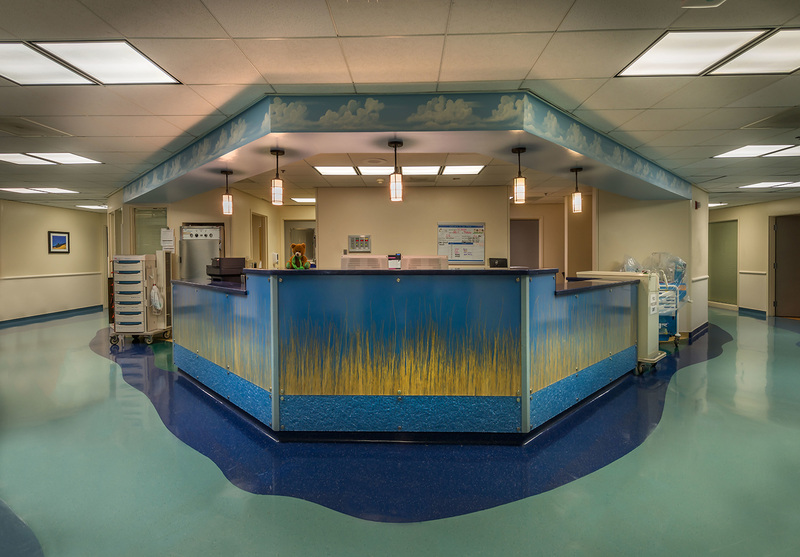 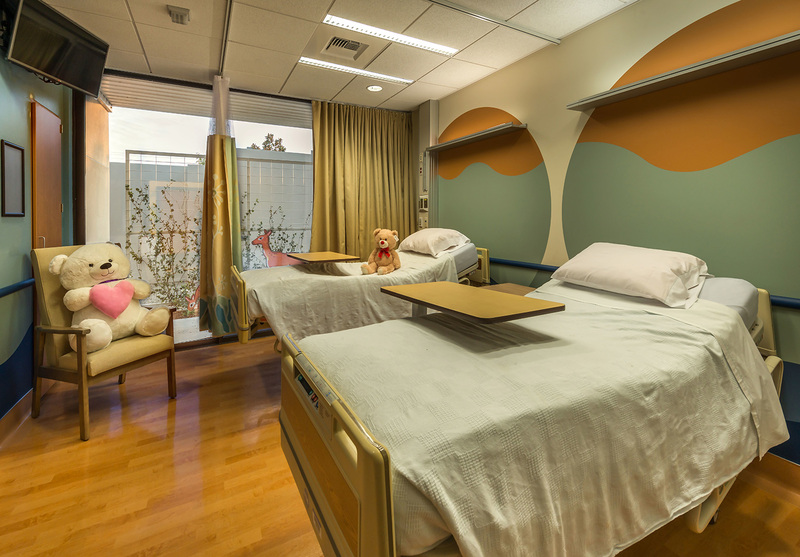 New 35 bed pediatric unit and 8 bed pediatric intensive care unit provide around the clock care. 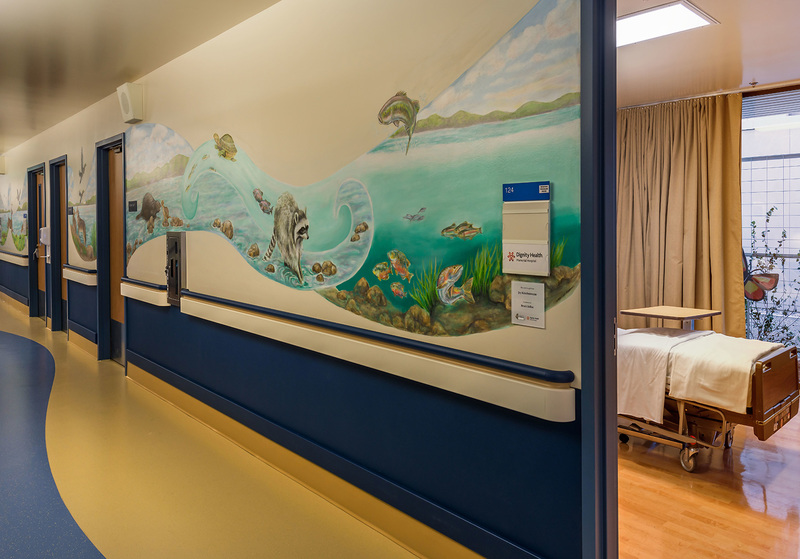 Theme is based on the local Kerin River – “river runs” through all areas of the unit in form, shape and colors. 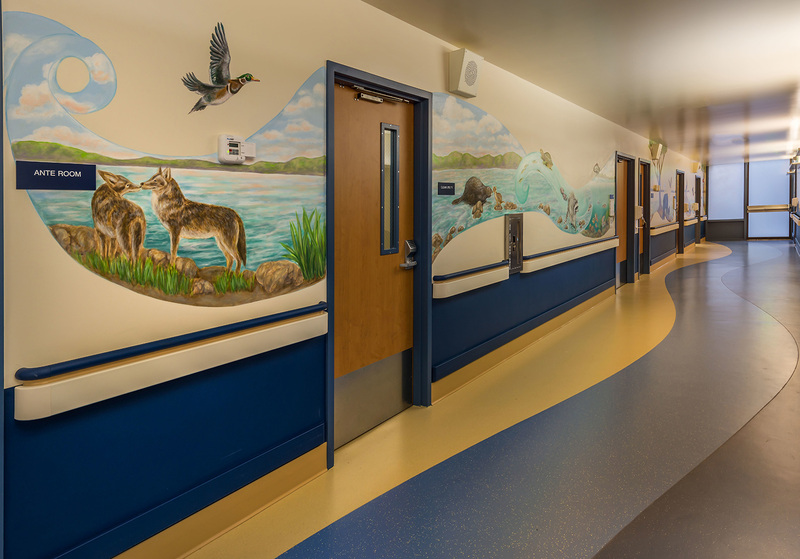 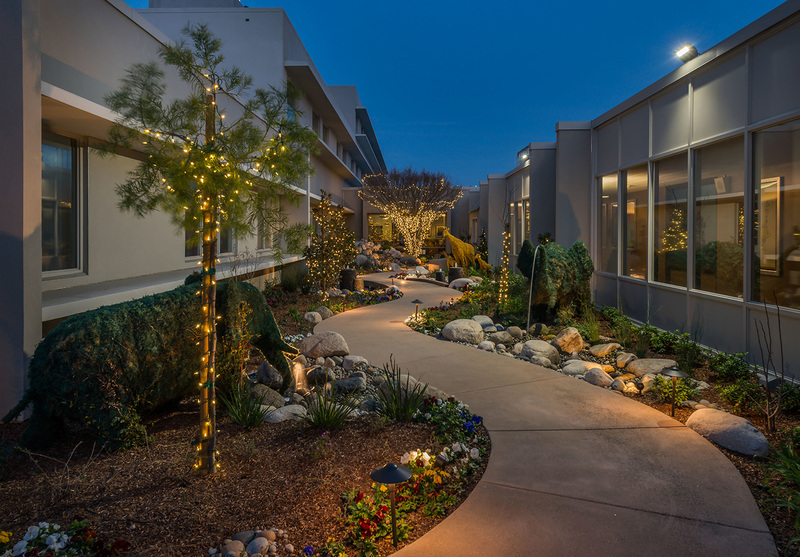 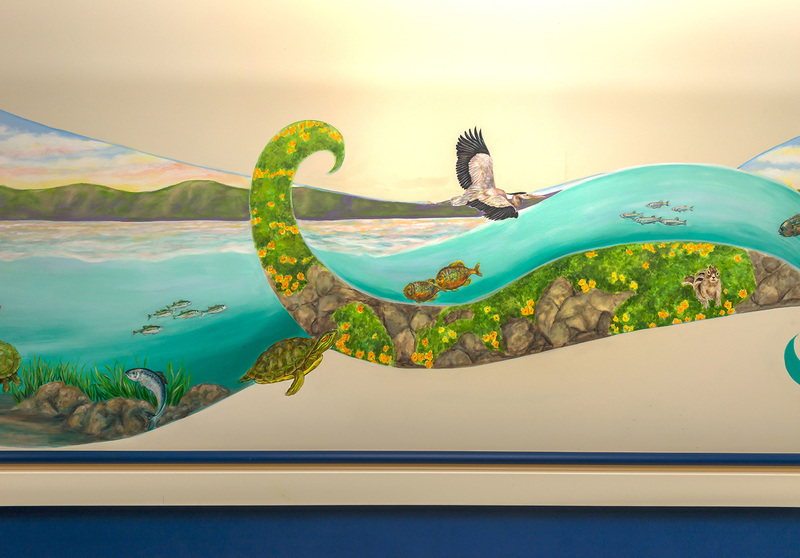 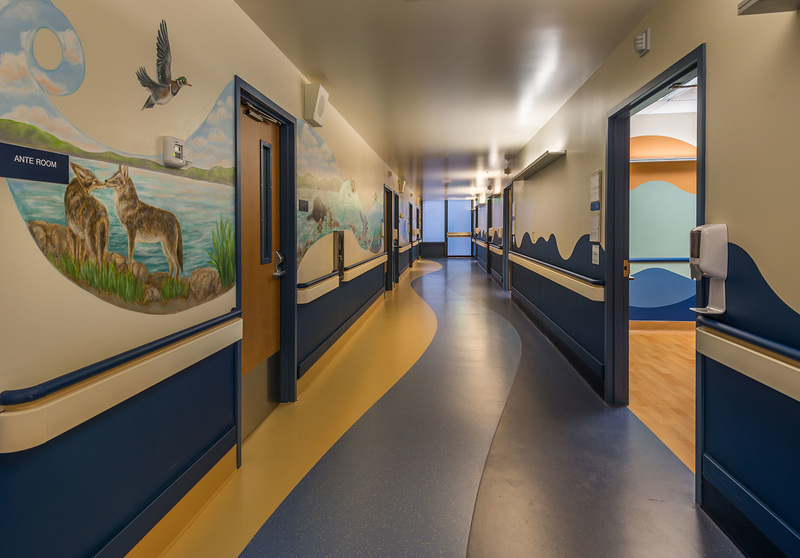 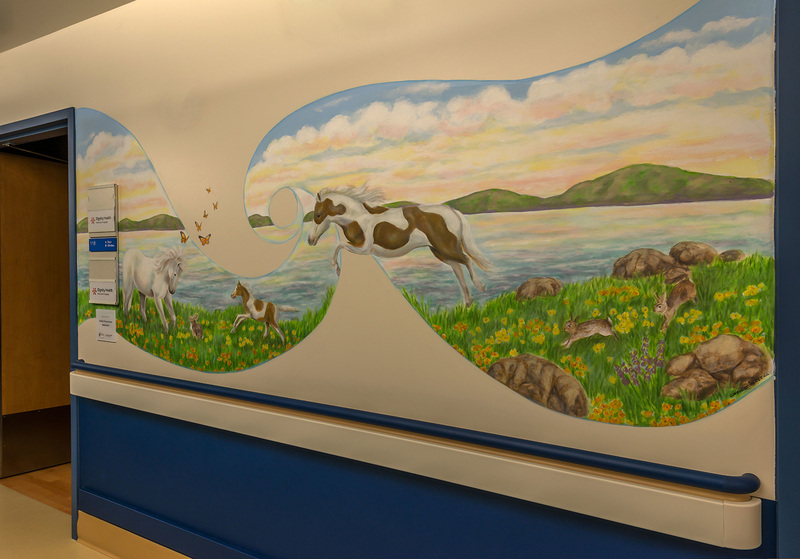 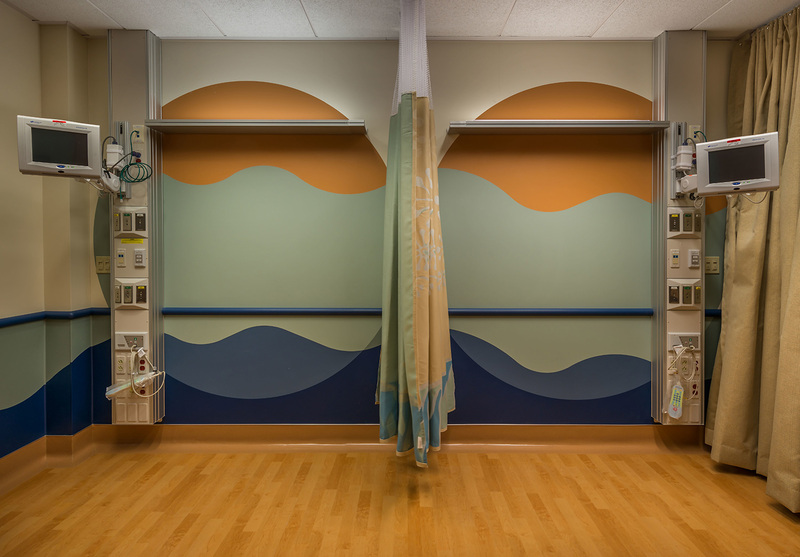 Friendly animals adorn hallway murals – designed to uplift the spirits of young and old.